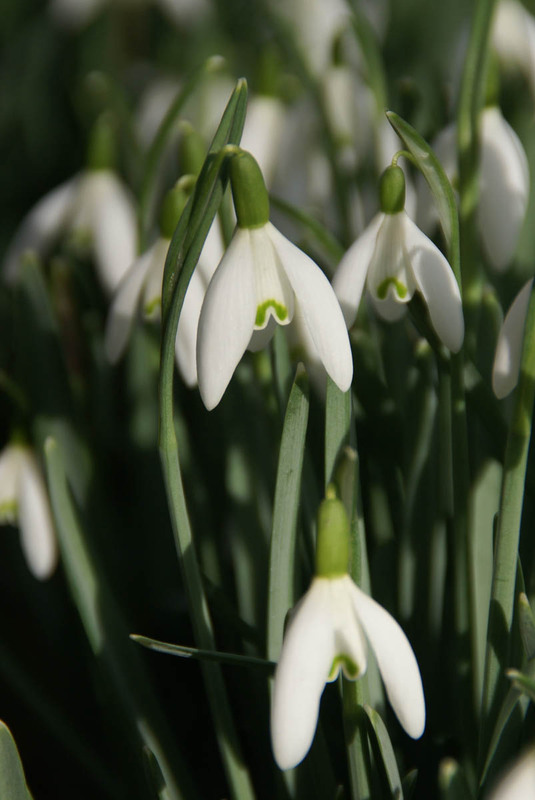 Snowdrops in Europe are renowned for appearing in depths of winter. The drooping white flowers push their way through the snow. 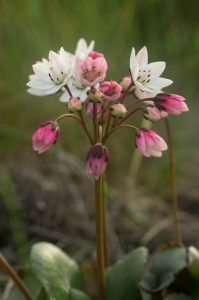 Cape Snowdrops, Crassula capensis, reminded the early European settlers of these popular flowers, though the snow was inevitably lacking. Cape Snowdrops appear mostly from May to July (at least at lower altitudes). This is slightly earlier in the winter, accounting for the hemisphere change, than their European namesake. Nevertheless, they too herald the start of the succession of spring-flowering bulbous plants. The similarity between the two snowdrops more or less ends there. European snowdrops belong to the genus Galanthus. Galanthus is a genus in the Amaryllis family, Amaryllidaceae, and a monocotyledon. Cape Snowdrops belong to the Stonecrop family, Crassulaceae, and is a dicotyledon. Both are geophytes, but whereas Galanthus produce a true bulb (modified leaf-bases), Crassula capensis forms small tubers (swollen part of the root). Galanthus, like all monocotyledons, produces its flower parts in threes; in this case, 3 long outer petals surrounding 3 short inner ones. 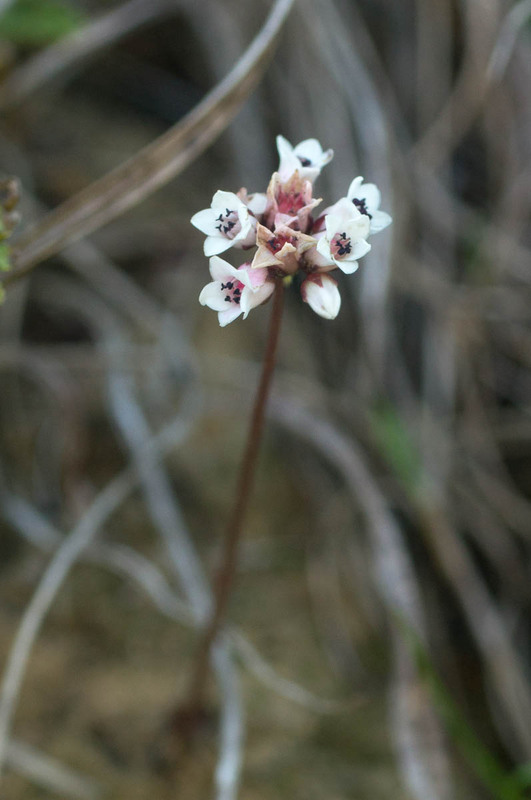 Crassula capensis has anything from 5 to 8 petals and the corresponding number of stamens. The two leaves of Galanthus are long and narrow. Crassula capensis also produces its leaves in pairs but there are usually 2 or more overlapping sets. They are broad and round and usually held flat to the ground. 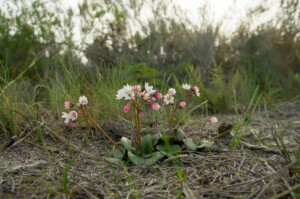 Crassula capensis is a common plant of damp slopes in the fynbos of the Cape mountains. 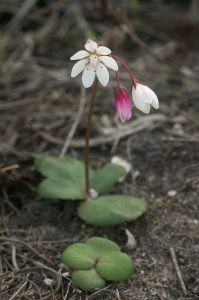 It likes slightly shaded localities, often in the shelter of rocks. It occurs from the Cederberg to the Cape Peninsula and eastwards as far as the Langeberg. It is very variable with local forms varying in the size and number of the flowers, flowering time, and position and shape of the leaves. Following a fire, the flowers frequently appear larger and with more petals than plants growing in mature fynbos. The Cape Snowdrop is an easy fynbos plant to recognise. It differs dramatically from most of its relatives in the genus Crassula, which are generally succulent plants of arid areas. 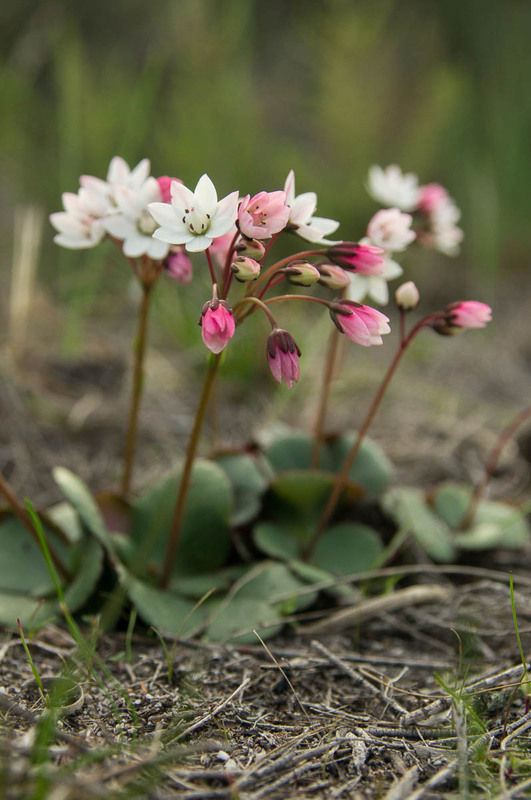 The most similar species is Crassula saxifraga, but that species has upright, not nodding, tubular white flowers with rarely more than 5 petals. Crassula capensis is a pretty plant but too small for growing in the open garden like European snowdrops. Rather, it is suited to growing in pots where its beauty can be appreciated at somewhat closer to eye-level. 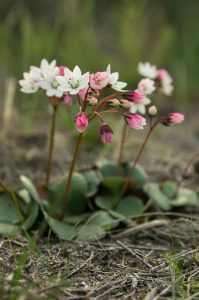 Cape Snowdrop, Crassula, Crassulaceae, geophyte, June, May, winter. Bookmark.